A couple weeks ago my friend Melissa asked if she could send me some samples of this new skin care line she was selling, L'BRI (long I, like ice). She gave me some details about it and I agreed. As I've mentioned many, many times on the blog, I've always tried to take really good care of my skin - learned it from my mama. I've tried to never go to bed with makeup on, wear SPF, on and on - you get the idea. Needless to say, I was really excited to test out the L'BRI products and share my results with you. I've been using the products routinely for about a week and have been very impressed with the results. 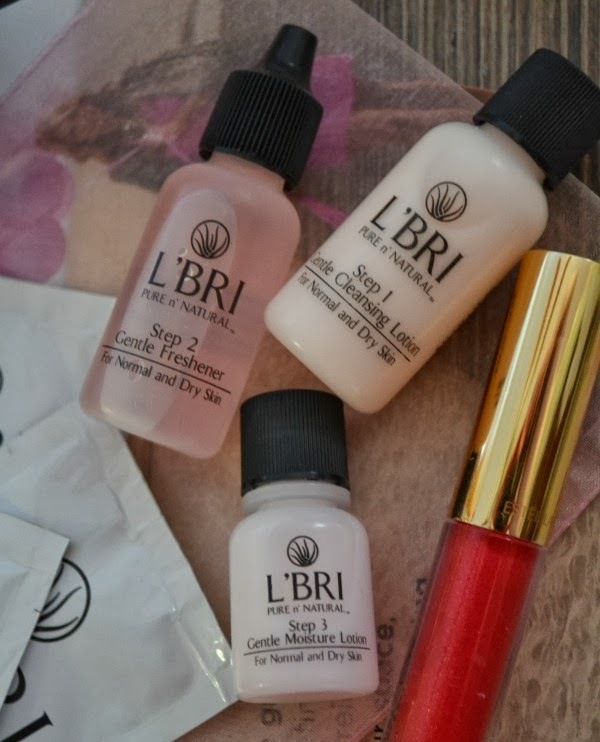 If you're looking for natural products (these are all aloe-based) that aren't weighted down with nasty ingredients you can't pronounce, I would definitely recommend looking into L'BRI. The founders stand by the ingredients and results that you'll experience using their products. Aloe, vitamins, herbs and natural botanicals take the place of alcohols, waxes, and artificial dyes. 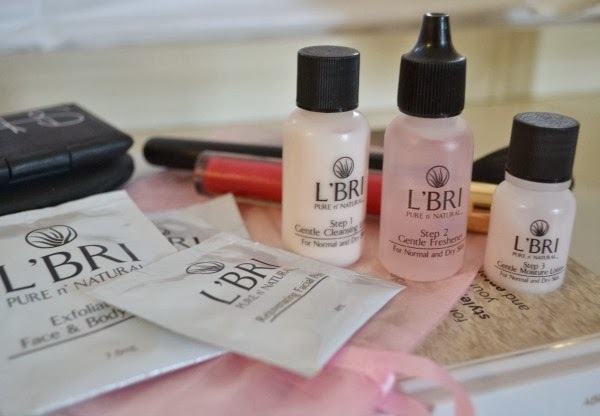 Read on for my review of each product I tested and visit Melissa's L'BRI pages here and here! Gentle Cleansing Lotion: Not a soap at all, the cleansing lotion removed my makeup (eye makeup included) easily. It left my skin feeling clean and soft. Exfoliating Face Scrub: I've used this product twice and love the way it makes my skin feel. It's definitely gritty, but just enough. I use it on my face and neck and can literally feel the difference it makes. Rejuvenating Facial Peel: This is the product that amazes me the most! The consistency is that of a serum almost. You cover your face and neck in a thin layer and leave it on for about 20 seconds. Then, when you start to rub it in you can (literally) feel the dead skin cells sloughing off. I swear! It's incredible! Gentle Freshener: Basically, this product just makes your skin feel really clean. Yes, even after the cleansing lotion and exfoliating! It's takes away anything that's left behind, prepping the skin for the moisturizer. Gentle Moisture Lotion: Seals in moisture and leaves your skin feeling soft and youthful. As I close in on the big 3-0 (in a few years), I've found myself seeking out products that bring me back to when I was younger - when it was still important to take care of my skin, but not quite so vital. That's what I love about this lotion. Overall: These products make me excited about taking care of my skin. Is that weird?! In the past, I've had a skin care routine because I had to. 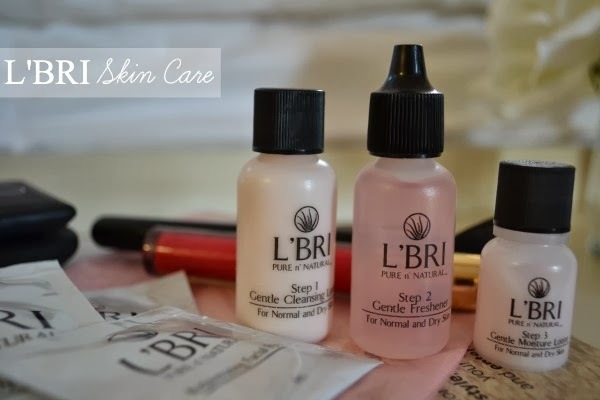 The L'BRI line makes me feel confident that I'm doing the best thing possible for my skin. The day after I used the peel for the first time, I could tell a noticeable difference in my skin and how easy it was to apply my makeup. The products mentioned here are only a few from the line. 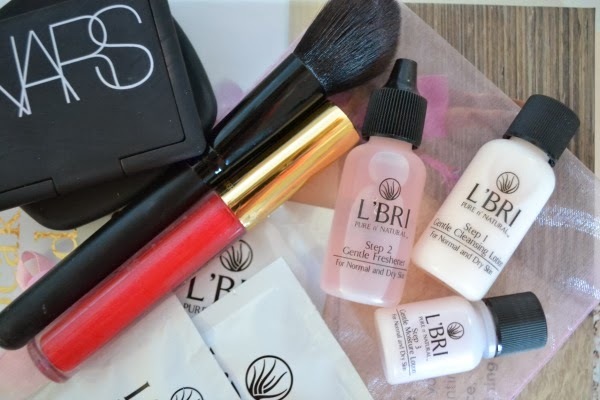 L'BRI also has body products, tons more skin care products, and cosmetics. 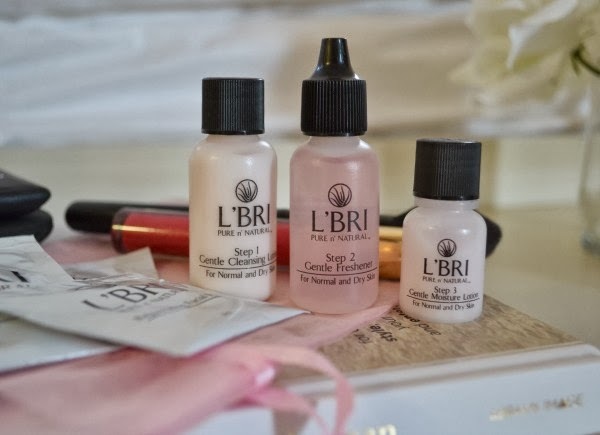 I'm looking forward to continuing to use L'BRI and I hope you'll take the leap and try them out! Contact and order from Melissa here! Disclosure: My friend Melissa sent me the samples in exchange for an honest review on my blog. I truly loved the products and the results. All opinions are my own.